A new help centre for migrant workers was opened in Geylang yesterday. Set up by the Migrant Workers' Centre and opened by its chairman and Ang Mo Kio MP Yeo Guat Kwang, it will offer services including emergency shelter, representation in employment issues, and referrals to medical and soup kitchen services. Situated next to Aljunied MRT station, it will serve all foreign workers in Singapore. The Migrant Workers' Centre (MWC) is a tie-up between the National Trades Union Congress and Singapore National Employers Federation. Of the 7,000 cases it has handled since it started in 2009, more than 3,000 have involved workers from China. Also on offer at the new centre will be free non-employment legal advice from the Law Society. Such cases might include those who are accused of theft or assault, for example. Mr Yeo said: "Whenever they have problems, we should give them a channel to help so that they will not resort to taking matters into their own hands." For instance, construction worker Bian Weifeng, 40, fractured his hand in a fall at work last December and did not know he could apply for work injury compensation until May. 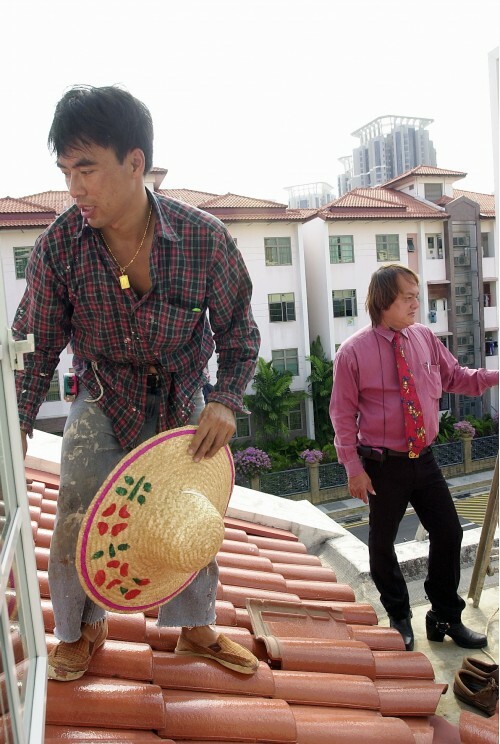 Mr Bian is currently staying in employer-sponsored housing until he receives his payout and said in Mandarin that such legal services would be a big help to him and others. The MWC also runs another office at Rangoon Road, which is expected to move to a site twice as large in Serangoon by the end of the year. Both are currently open from 9am to 7pm from Tuesday to Friday and 11am to 3pm on weekends. The MWC also plans to set up a 24-hour hotline by next year, and have services in key languages spoken by foreign workers, including English, Mandarin, Tamil and Bengali. There are close to 1.3 million foreigners working in Singapore, of whom more than 970,000 hold work permits, according to Ministry of Manpower figures.